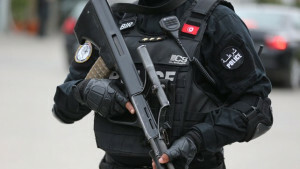 According to a recent statement by Tunisia’s President Beji Caid Essebsi, in the aftermath of the terrorist attack in the resort town of Sousse, a state of emergency is going to be introduced across the country for the next 30 days to allow local army and police units to act more decisively in the fight against terrorism. But can this decision be called timely? In the modern history of independent Tunisia such a state of emergency was introduced five times. Under the rule of Habib Bourguiba saw three similar states of emergency called. On September 9, 1957 the then newly elected first president of independent Tunisia was forced to resort to such a measure to secure Tunisia’s legitimate right to ensure the integrity of its territory in the face of an immediate threat looming at its borders. On that day a state of emergency was introduced in five southern governorates: Souq el Arba , Kef, Sbeitla, Gafsa and Tozeur (Law № 57-29). The introduction of this security regime was imperative for the protection of the new independent state. However, later on this radical measure was to be introduced due to various cases of political and economic instability in the country itself. In October 1977 a factory in the town of Ksar Hellal saw the first strike against the economic policy of the president, which resulted in harsh clashes with army units, which Habib Bourguiba sought to keep away from internal conflicts. In just four days the disputed factory was liberated, leaving 50 people injured and 30 more arrested. But the political crisis deepened, which resulted in the so-called “Black Thursday” which occurred on January 26, 1978. This was the first general strike since the creation of the new state. The population”s dissatisfaction with liberal trends in the government was so great that it assaulted police units head-on. On the same day Habib Bourguiba,in accordance with Article 46 of the Constitution, signed two decrees: Decree № 78-49 introducing a state of emergency while decree № 78-50 regulated its conditions. From that moment on a state of emergency could be introduced in the face of an imminent threat to the state, which can be posed by public unrest or natural disasters. At this time Tunisia’s Minister of the Interior is entrusted with extraordinary authority. In this situation, the then Prime Minister of the Tunisian Hedi Nouira appointed Zine Ben Ali the head of the National Security, his decisive actions allowed to suppress the revolt in record time, more than 500 people were convicted, and the state of emergency was canceled in less then a month. However, some 46 civilians were killed and over 325 injured during this time. In December 1983 Tunisia’s government was raising prices by 30-50% on bread, sugar, and cereals, under an extensive amount of pressure from the International Monetary Fund. The couscous which is North Africa’s national dish was on the list. Massive “bread riots” that followed this decision were suppressed by police and army units. On January 3, 1984 Habib Bourguiba introduced a state of emergency across the country. On January 6, 1984 the government reversed its decision on the price raise, however, according to official figures some 70 civilians lost their lives in the riots. The unofficial figures are even more grim – 140 people killed. Despite the reversal of this questionable move, Habib Bourguiba lost the trust of Tunisians overnight. He was thereafter relying heavily on Zine Ben Ali, which he would later describe as a man with a strong grip that would be more than capable of keeping the country in his hands. On November 7, 1987 Zine Ben Ali launched a coup d’etat and seized all power in the country. It is noteworthy that in 23 years of his rule, Ben Ali, who was nicknamed “general crisis” never resorted to the introduction of a state of emergency, but his followers failed to carry on this legacy. As a result of the Second Jasmine Revolution on January 14, 2011, Ben Ali was forced to leave Tunisia. On the next day local authorities introduced a state of emergency in the riot-ridden Tunisia that lasted until March 6, 2014. It is curious that local authorities were using Habib Bourguiba’s political heritage in order to restore order in the country. The good-old decree № 78-50 that was signed back in January 1978, is designed to contain the discontent of the people, and it remains the basis for maintaining law and order in Tunisian society today. However, the government failed to attain stability, despite the fact that the state of emergency lasted for more than three years. In 2014, for the period from 8 to 22 May a state of emergency was reintroduced in the the border areas close to Algeria. It would seem that the adoption of a new Constitution, along with the election of a new president must have been a milestone for the country, with all the righteous provisions that were adopted with this basic law on 26 January 2014. However, a new law has not brought security and prosperity to Tunisia. The surge of Islamism that was kept in check by President Ben Ali for so long broke the moment he was overthrown. The situation was aggravated even further by various radical groups, namely the Islamic State, that began carrying out its operations in Tunisian territory. The first terrorist attack occurred on March 18, 2015, when militants stormed the National Bardo Museum, leaving behind 23 dead. On June 26, ISIL terrorists murdered some 40 civilians in a local hotel. In the aftermath of this attack Tunisian authorities decided to close a total of 80 mosques for inciting violence within the next week. The week has expired in an attempt to prevent civil unrest and violent clashes authorities introduced a state of emergency. But so far, it remains unknown whether the Tunisian government has fulfilled its promise to close the above mentioned mosques, or was the state of emergency a mere attempt to reassure the international community that the government is still able to keep the situation in the country under control. It seems that Islamists have come to stay in this once prosperous and secure state. Will the introduction of a new state of emergency be of any use? Time can only tell. In any case this regime that grants army and police units more freedom in their fight against terrorism, won’t change anything. Without a certain amount of educational work that would cancel the poisoning propaganda of Islamists, nothing can be achieved. However, the pressing social problems of Tunisia must be properly addressed, since they are being actively used by representatives of the Islamic State to attract new followers. But are Tunisian politicians capable of addressing such issues is the question that time can only answer.